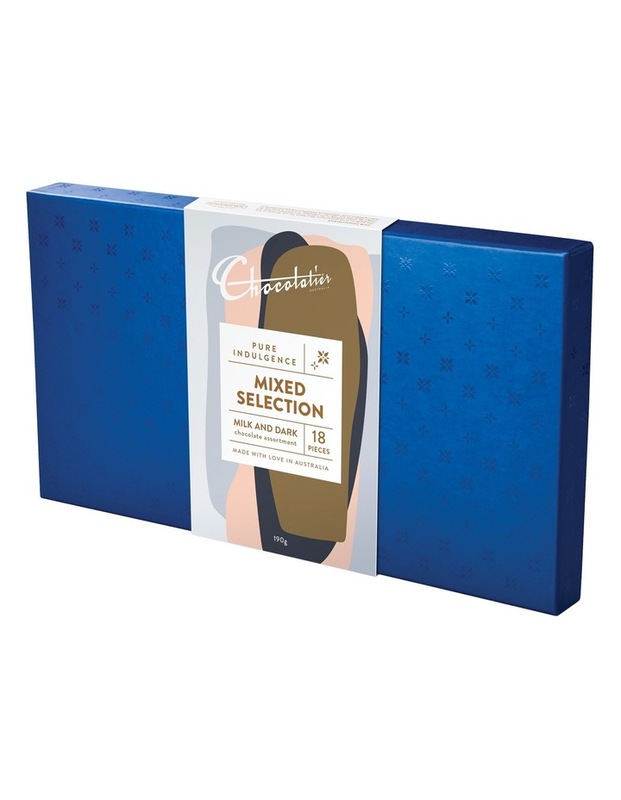 Chocolatier Pure Indulgence Mixed Selection 190g. 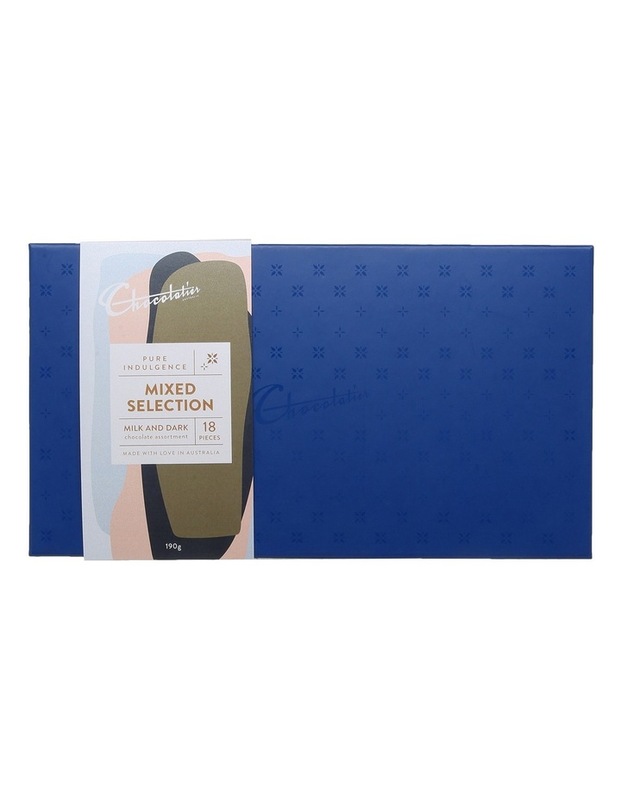 The Pure Indulgence Mixed Selection Box contains an assortment of Chocolatiers finest milk and dark chocolates. 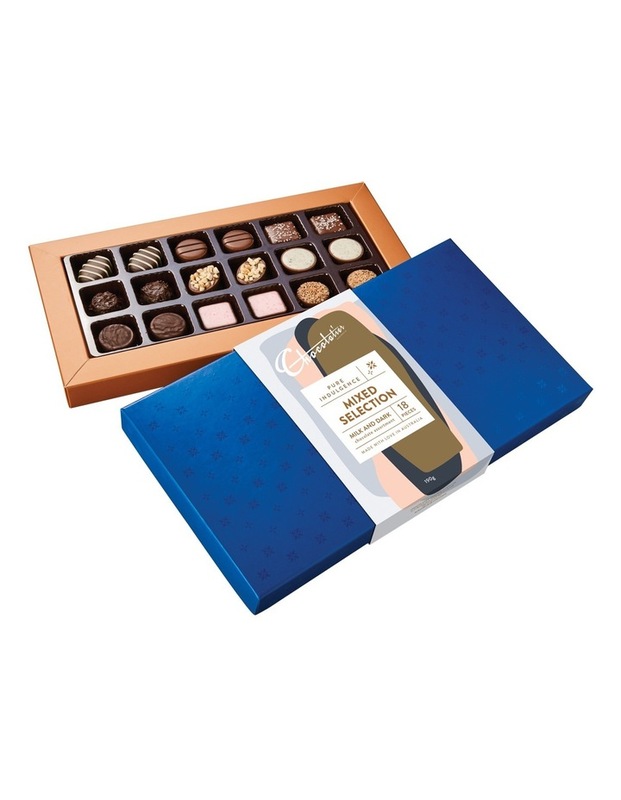 In total the box contains 18 pieces to enjoy.